Looking for a Business Analyst with Retail Industry experience who is responsible for documenting business requirements related to retail business, to understand the process, operations, rules, requirements, and work flows to help the business achieve their goals and resolve their business issues using IT solutions. This role acts as a liaison between the business and IT partners of the company. · Participates/Conducts demos, configuration, data conversion, training, and deployment. · Develops functional designs to include wire frames, logical data model, system interfaces, and security requirements, and reviews with and obtains stakeholder approvals. · Performs System Testing when required and reports and tracks issues identified through resolution. · Perform first and second level production support to Retail systems to include analysis and resolution of assigned RTC/Jira/ServiceNow incidents. · Manages requirements and functional design through entire lifecycle - tracks and fully documents changes for functional and business specifications; writes detailed universally understood procedures for permanent records and for use in training. · Participates and/or leads and conducts definition, documentation, testing, training, implementation, and support of system requirements on assigned projects. Manages issues and reports status to assigned Project Manager. · Liaison between departmental end-users and IT in the analysis, design, configuration, testing and maintenance of information systems to ensure optimal operational performance. · Bachelor’ s degree in Computer Science, Information Technology, or related field with 5 to 10 years years of relevant experience or equivalent. · Able to write SQL queries to validate data and set up data is essential. · Able to understand complicated requirements and articulate properly. · Knowledge of Excel and MS Word is essential. · Experience in Planning Systems including Assortment Planning, Demand Planning, Allocation and Replenishment, Vendor and Agreement Management is a huge plus. 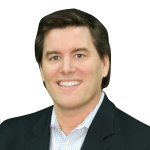 Ken Peters co-founded The Connors Group in June, 2001 and has been responsible for building the foundation of this premier IT staffing organization that serves clients in the areas of executive search, staff placements and consulting services. Ken has over 23 years experience in information technology and IT recruiting. Ken’s IT background gives him a unique prospective to what an employer is looking for in an IT professional, as well as what’s important to a prospective candidate. Handling the operations side of The Connors Group, Ken is always looking to leverage technology to create a world class infrastructure. Implementing this technology gives Connors a competitive edge, and adds tremendous value to our clients, and candidates.